1. I have a gray female bunny, she had one kit on Memorial Day weekend, then around June 1st she had 3 more babies!!!??? I must add, I have not put the buck back in her cage since she had gotten pregnant the first time! So, is it normal for a doe to have more kits, 6 days after giving birth and not being bred again???? 2. The second litter she had seemed to be pretty healthy, until yesterday, they are about a week old, the gray/white baby is quite pudgy, the little brown/white is kind of skinny, and the 3rd one I can see its stomach is sunk in..... so so sad, so I've read that we can hand feed them, and what do we feed them, kitten milk mix???? I even have another nursing mom, lop eared, but her babies just opened their eyes, and this poor little one is just under a week old, please help??? Dwarf Rabbit Kits Born Dead or Froze to Death? This is our first time having rabbits mate. We allowed our two dwarf rabbits to mate and this weekend was kindling time. We walked out to check on the rabbit not knowing she was going to give birth to a dead baby. We did everything we found online to try and bring a cold baby back. We tried for hours. So we brought the doe inside into a warm home in a different cage, then she really started to nest. She had not done that before. So I thought ok, maybe she has more. We kept checking on her all night, then went to bed, I got up at 4am and there was another very cold baby all alone. So I again tried to revive the kit to no luck. I can't tell if she is still going to have any more, she seems like she does still have one or more in her belly, but quite disappointed as we were hoping for baby bunnies. What did we do wrong and what should we do in the future? Sorry for the disappointments, Anon. I am not sure if you've done anything "wrong," or if your doe hasn't yet figured out how to do the mothering thing. 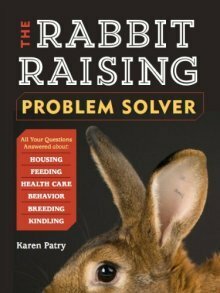 Either of these two educational resources is sure to help you with preparing for another litter, and time will tell if your doe eventually will figure out how to care for her babies. Good luck with everything. You can usually safely foster the hungry bunny on to the other doe despite the age variance. I have fostered a 3 week old to one that just gave birth. Shannon, I'm not sure why your doe had babies on separate days. We've had that happen twice with one of our new does. The first time she delivered 2 dead babies several days early, and none at all at her due date. The second time she delivered 2 a few days early again, but 7 more on time, most of which lived. She is the only one who has delivered like this. I do recommend that you DO NOT put your buck in with your doe. It should be the other way around. Does are extremely territorial and can attack and seriously hurt a buck who they don't want in their territory. Plus, if he is brought to her cage, he may be more interested in checking out the new surroundings than he is in the business at hand. First answer: Yes, sometimes it happens. It's all up to the doe when, how, and where the litter is born. Second Answer: Yes you can bottle feed them. And yes, feed them kitten formula!! I did that with my wee cottontail rabbit when he was 3 weeks old. If you want you can foster the kits to the other doe that has the older kits. It won't hurt any, as long as the doe accepts the little kits.